Ronda Chervin is a Catholic author, international speaker and Professor of Philosophy. 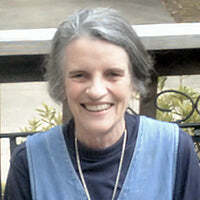 She is the author of over 60 books concerning the matters of Catholic thought, practice and spirituality. Coming from a Jewish -- though atheistic -- background, Chervin converted to the Catholic faith when she was a young adult. She graduated from Fordham University with a Ph.D. in Philosophy and earned an MA in Religious Studies from Notre Dame Apostolic Institute. While at Fordham, Chervin studied under Dietrich von Hildebrand. Since then, as a Professor of Philosophy, she has taught at numerous colleges, including Loyola Marymount University, the Seminary of the Archdiocese of Los Angeles, the Franciscan University of Steubenville, and Holy Apostles College and Seminary in Cromwell, CT. She frequently presents on Catholic TV and Radio.